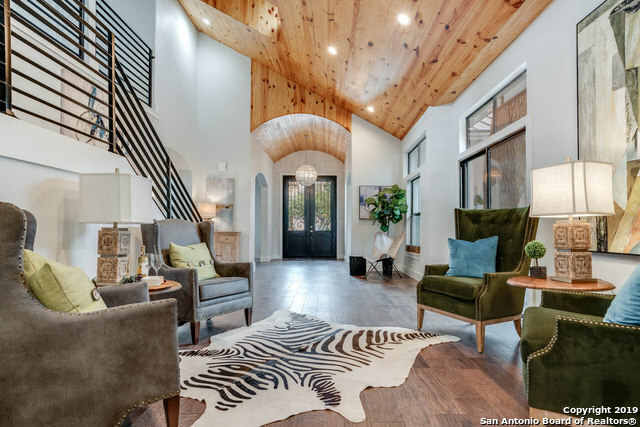 All DOMINION COTTAGE EST homes currently listed for sale in San Antonio as of 04/25/2019 are shown below. You can change the search criteria at any time by pressing the 'Change Search' button below. "Tucked away inside the prestigious Dominion Sub/Featuring exquisite & sophisticated upgrades you quest in a new custom home. Extensively renovated, including new metal roof/new appliances/AC/hardware/tubs/sinks & more. Easy layout, designer lighting & details throughout. Luxury Resort Style-master suite & master bath, marble tile/surfaces, wood floors, quartz kitchen coutertops. basement cellar for your own wine tasting experience at home. Outdoor entertainment space perfect for relaxing & enter"